Hello friends! Since the last time we’ve met, a LOT has gone on in the homebrew industry. Specifically, a LOT has gone on between two of the largest independently owned homebrew supply companies! We’re so excited to announce that Todd Burns of Kegconnection LLC has purchased HomebrewSupply.com! Most of you are already familiar with HBS as they’ve made a huge impact on the online market even in the relatively short amount of time they’ve been around (3’ish years). Their site has always been enviously beautiful, and their customer service has always been exceptional! For today’s episode, we welcome one of the HBS guys who has been around since their beginning, Ladik Joe Ermis. Joe’s an avid homebrewer and wore a lot of hats during his time at HBS! 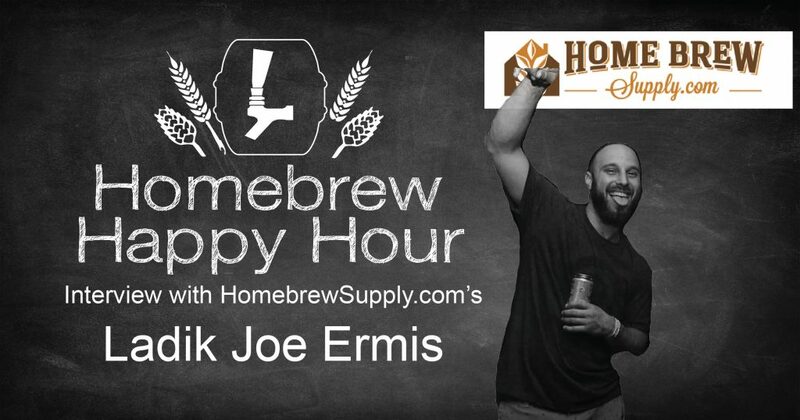 We think you’re going to really enjoy this interview and hope you stay tuned for more information regarding the relaunch of HomebrewSupply.com!